UNITED National Congress (UNC) Political Leader Kamla Persad-Bissessar says the People's National Movement (PNM) will target citizens and activists following the by-election defeat in Barataria. She was speaking to supporters at the UNC Barataria campaign office on Monday night after the announcement the UNC and its candidate Sharon Maraj-Dharam won the seat in the by-election. She cautioned while the UNC looked forward to removing "this inept Rowley Government" and returning good governance to the people of TT "the PNM is more dangerous when they are wounded as they are now. Their hunger for power and office knows no bounds." "They are desperate and will conspire to undermine our public institutions for political gain. Notice that as the people abandon them, they issue more threats and more warnings. To cover up their incompetence and corruption they will target innocent citizens for unfair persecution and malicious prosecution. They will threaten your leaders and key activists. But do not be deterred - remain focused on the task at hand - ensuring that our country gets a leader and team with the vision and political will to get things done." She alleged Prime Minister Dr Keith Rowley and the PNM have used lies, half-truths and innuendoes against the party. "Staring defeat in their faces, seeing that we had increased our votes Dr Rowley said (Monday night) that they offered no inducements. In other words he is trying to say other people offered inducements. I want to make it very clear we offered no illegal inducements. What we offered were legal inducements in the sense of saying we will give you good representation. We will take care of you. We will care for you. We will look after your issues. That is the persuasion that we used." 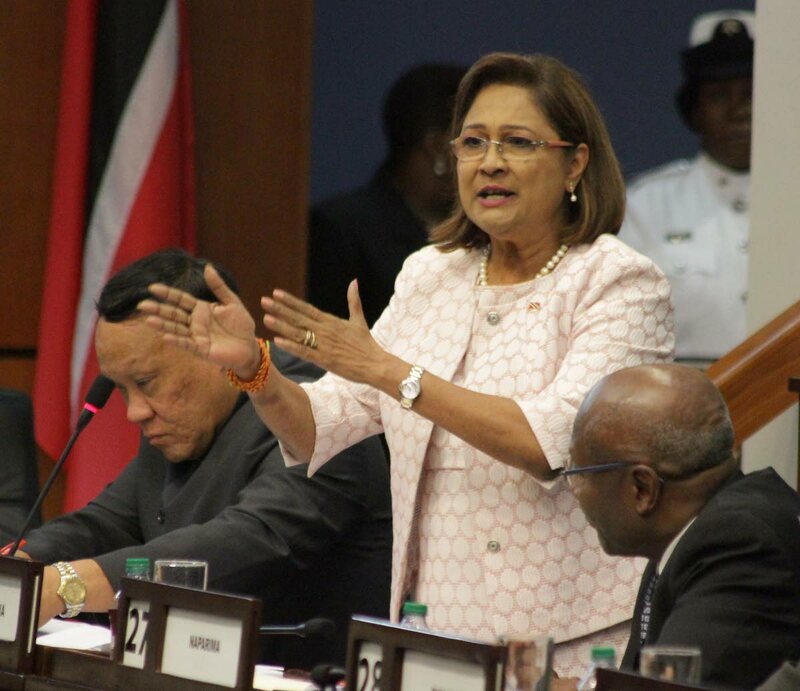 Reply to "Kamla: ‘Dangerous’ PNM will threaten citizens, activists"